What’s the difference between “Reformed” and “Reform”? It’s the difference between past and present – and future. The Protestant Reformation happened in the 1500’s, when Christians turned away from the Catholic Church to follow Martin Luther and John Calvin and founded “Reformed” churches. For them, “reform” happened once, five hundred years ago. Reform Judaism, on the other hand, began in the early 1800’s and has never stopped changing. Change happened yesterday, it happens today and without a doubt it will happen tomorrow. That’s not always easy to accept, but that is what it means to be Reform Jews. In the early days we were busy reforming traditional Judaism. We eliminated five-hour services in a language no one understood, including prayers to restore the sacrifice of animals as part of our worship. We stopped saying the same set of prayers four times in a single Shabbat morning service. We said that women’s prayers were important to God, and that women were important to temple life – in fact, women could vote in Reform congregations 40 years before women won the right to vote in American elections! And we looked outside the Jewish community to create alliances with other religions and to help those in need, regardless of their religion. If we had stopped there, maybe we would have been comfortable being called “Reformed Jews.” But we never stopped reforming, and Rodeph Torah is a great example of that. When our congregation started in 1980, we used The Union Prayerbook (newly revised) – which was “newly revised” in 1937! A few years later we bought Gates of Prayer, and chose the version that opened in the English direction. Fifteen years later we created our own prayerbook because we didn’t want to refer to God as a male any longer and because we had chosen to eliminate responsive reading; everyone was invited to pray along whenever and however they chose. That “custom” prayerbook opened in the Hebrew direction. Now we use Mishkan Tefilah, which incorporates all our earlier changes – and many new ones. Blessings for new drivers. Birthday and anniversary blessings. Healing services. “Service in the Round.” Friday evening services at 6:30, or at 8 p.m. “Very Young People’s Shabbat.” Unrolling the Torah on Simchat Torah. Rock Shabbat. Visual Tefillah. Reform Judaism in action! Change can be disorienting, no question. But our openness to change leads to new traditions, and then they’re not so disorienting anymore. Think about the things I listed above: honestly, how many of them are now so much a part of what we do that you would be really upset if we did away with them? Or try this: drop by my office sometime and ask to see a copy of The Union Prayerbook (newly revised). Pick any page – or try page 34 if you want a recommendation – and try to pray it. Then pick up Mishkan Tefilah and do the same thing; I think you’ll embrace change more than you ever thought you would. 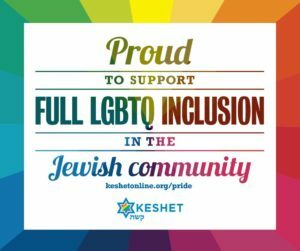 This year we are doing what Reform Jews do – again. Rock Hashanah is new, as is the Yom Kippur afternoon program called “Sin Texting.” Will they work? I don’t know. Will we continue them next year, and the year after? I don’t know that, either. The only way we know which changes work is to try them and see, so we will ask you for your thoughts and feelings when you try them. Tell us you like them or tell us you don’t, and tell us why. But please don’t be upset that we are “changing things,” because that’s what we do. It’s right there in our name: not reformed, but Reform. In the present, and the future.